Find hotel near Saint Bernard Breeding Ce ..
Are you a dog lover? Then this is one place near Chamonix that you must visit! A native to the Alps, Saint Bernards are a rare pedigree. 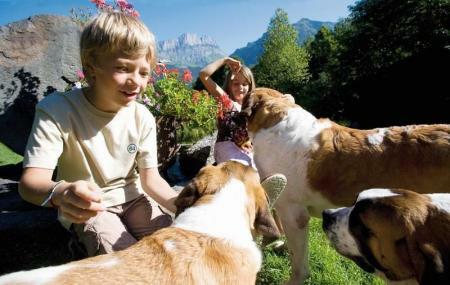 While visiting the Merlet Animal Centre, on the way, do visit the Saint Bernard Breeding centre situated between Servoz and Les Houche. Adults (13+): €5 and Children (5-12): €3.5 . How popular is Saint Bernard Breeding Centre? People normally club together Merlet Animal Park and Musee Des Cristaux while planning their visit to Saint Bernard Breeding Centre.